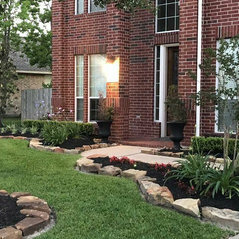 In 1990, Juan Vasquez founded Green Lawn Irrigation & Landscape and has worked on 1000's of traditional and tropical landscaping & irrigation projects in the Northwest Houston area, including Cypress, The Woodlands and Tomball. 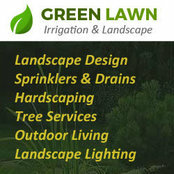 Green Lawn provides a wide array of landscaping services, including landscape design & installation, sprinklers, irrigation, drain systems, hardscaping with stones & rocks, tree trimming & removal, outdoor living spaces and landscape lighting. Making our customers feel great about their landscape project both before and after the project starts is our top priority.